It hasn't been 365 days of blogging, its technically been three years of blogging. '12: 172 post. Now THATS the stuff. After much thought, ok a little thought, I decided that my blogs birthday will be December 23. 1. It was my SECOND High Five for Friday post. Aka I actually followed through with something on this here blog. 2. It was the first day that Jessica commented and our Blogger Bestieship was born. Now this brings me to some other news. I am changing my blog name. I know, I know. weird. I will be writing more about this when all the changes come about, but I hope you will continue along for the ride! In the mean time, lets talk about the last year... On Thursday night Reese and I went out to celebrate one year of blogging... Well really we just went out to dinner and I decided half way though the dinner it was celebratory, handed him the phone and made him take a picture. 1. 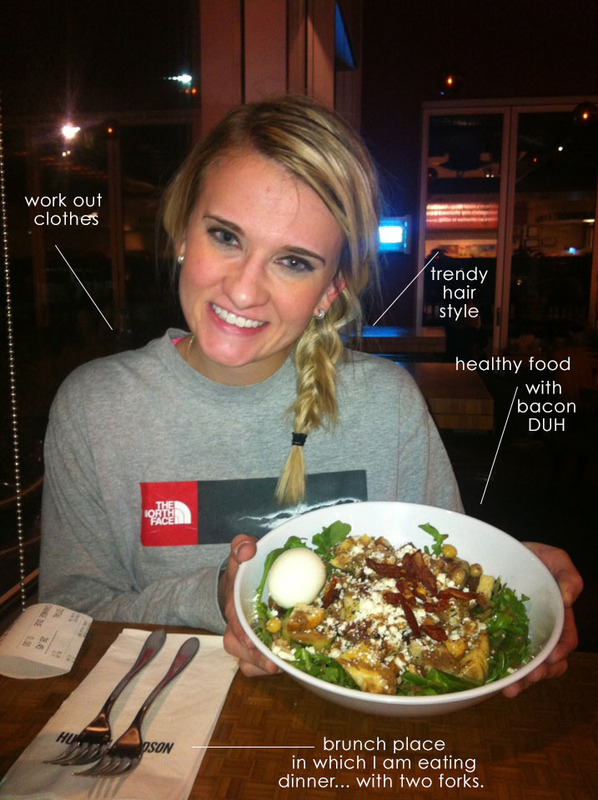 Work Out Clothes: Blogging has really inspired me to focus on my health. If I am going to have to take all these selfies to post on the internet I HAVE TO BE LOOKIN GOOOOOOD. I mean why else would I need to work out? 4. Brunch:Obviously if one is going to blog one must brunch. Hubble and Hudson, it normally is our brunch spot but it seemed appropriate for a celebration as well! As for the two forks I don't really have an explanation or a connection to blogging... lame. Thanks friends for sticking with my ramblings, I appreciate and LOVE all of you. Here's to the next year and bigger and better things for this little blog! AHHH! We are meeting TODAY. TODAAAAAYYYY. Way to gooo! New friends are definitely the BEST part of blogging! 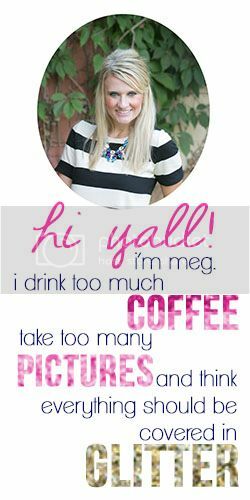 Happy Birthday to Meg's blog! Happy Blogiversary, love! I'm excited to see your new blog unveiling next month. I think I saw on Twitter that Aubrey is redesigning for you, and I can't wait to see it! Your new name makes me think of Kendi Everyday -- but with more humor and sass. ;) (No offense to Kendi.) I hope you and J had fun today! Love you! Yay!! Happy blogaversary to you love!!! I'm so happy that we've met through blogging. Can't wait to see what's to come on Meg Everyday! Happy Birthday you baby, blog you! So jealous y'all met today! Next time it's Texas and I'm pretending like I'm southern because I can.